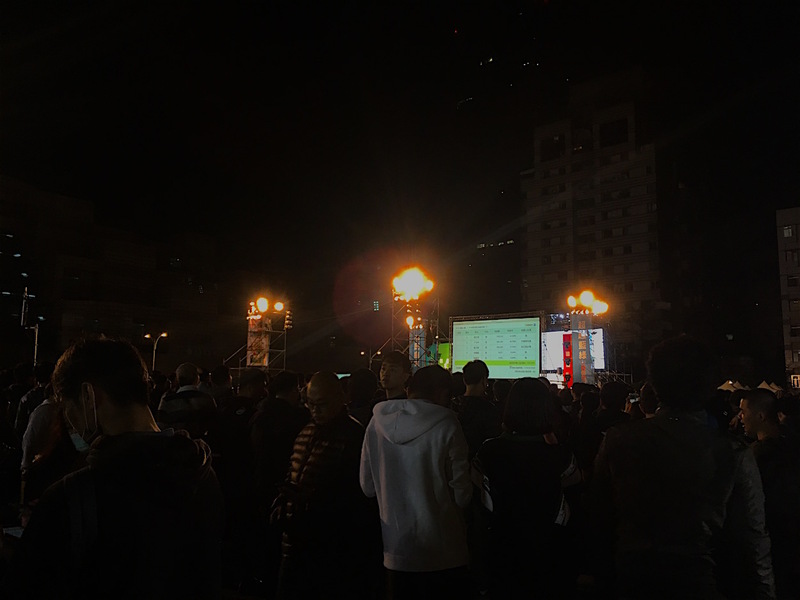 KO WEN-JE BARELY clinched the Taipei mayorship yesterday night, winning by several thousand votes over KMT candidate Ting Shou-chung. According to the Central Election Commission (CEC), Ko won with 580,820 votes, while Ting lost with 577,566 votes. This puts Ko just over 3,300 votes ahead of Ting, a narrow victory by any means. 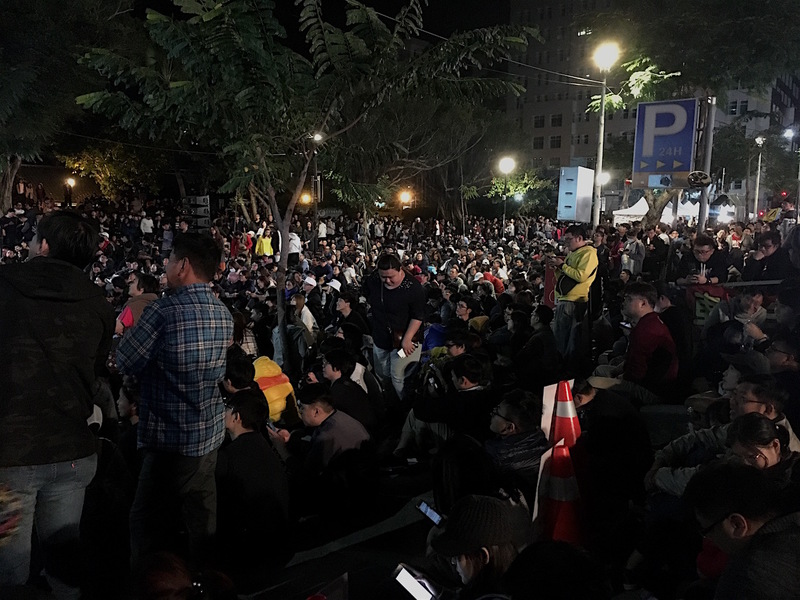 Ko declared victory at around 2:45 AM today, preceded a few minutes earlier by Ting Shou-chung announcing that he would be seeking a legal challenge to invalidate the election results. 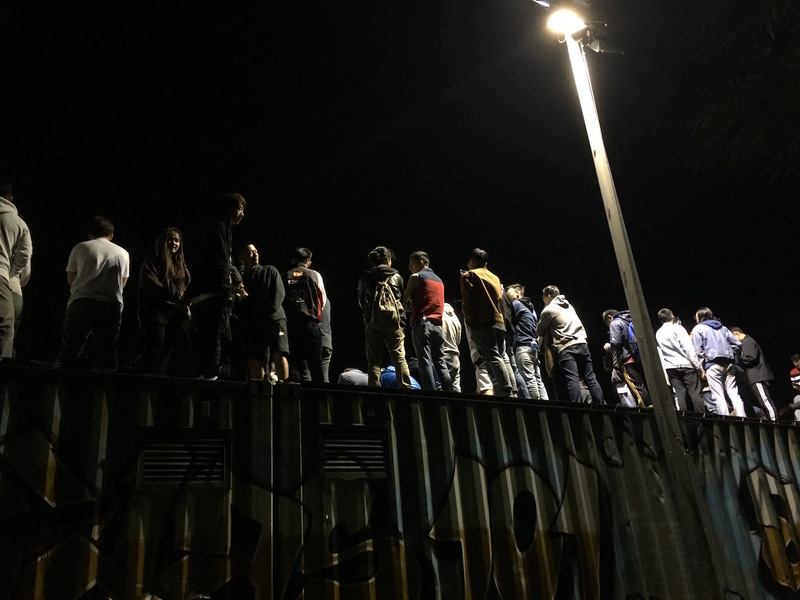 According to Ting, voting was unduly influenced by the fact that polling stations were so crowded that polling went on long after voting hours were to have ended at 4 PM, leading to the last vote being cast at 8:30 PM. Voters standing in line by 4 PM are legally obligated to be allowed to vote, no matter how long the line for the polling location is. Because election results started coming in ahead of time, with media reports on early results starting at about 4:30 PM, this may have influenced those who were still standing in line waiting to vote. In past eras, this may have been less of an issue, as voters would have had to wait to go back home and watch television or listen to the radio to find out about early election counts. But in the age of social media, now anyone can watch election counts while waiting in line to vote on their smartphone. The CEC will no doubt see some heat going forward for its decision to begin counting votes and publicizing them before all voting was finished, particularly from those who lost elections. The CEC will also be criticized for that it did not have adequate manpower for polling locations or did not set up more polling stations in order to cope with the increased amount of voting which would be taking place with the addition of national referendum questions. 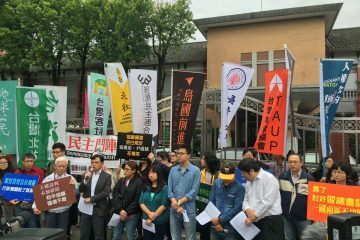 In general, some suspect that the long lines at polling today might have been harmful to the Tsai administration because of the fact that voters would blame the Tsai administration for mismanagement while they were waiting in line. However, ahead of time, few expected the large voter turnout for what were just a set of midterm elections, whereas presidential and legislative elections are usually more heated. After Ting announced that he would be contesting the results, Ting and supporters subsequently went to the CEC to protest. Very likely, then, the results of the vote will go to a recount, which may have happened anyway given how close the election results were. Nevertheless, throughout the last hours of the race, whenever new results came in from election stations reporting on their results, Ko had a small but observable lead than Ting in most stations. The legitimacy of Ko’s election victory will be contested, then. And if Ting does not believe that he can win through a recount, he at least believes that he and the KMT will gain something through contesting Ko’s victory. 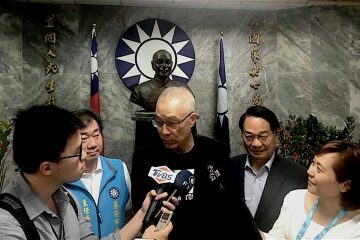 Indeed, with the KMT more and more frequently advancing the claim that the DPP is a threat to Taiwanese democracy—as frequently claimed in Ting campaign rallies—this will probably encourage the KMT to more and more willingly violate the rule of law in Taiwan. 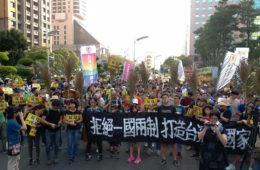 The KMT claims the DPP is a threat to democracy on the basis of the DPP’s probe into illicit party assets retained by the KMT after the end of its one-party rule, and the transitional justice committee’s inquiry into past crimes committed by the KMT during the authoritarian period, making absurd claims about the threat to democracy posed by the DPP when the KMT is the former authoritarian party in Taiwan and the DPP is the party that emerged from Taiwan’s democracy movement. 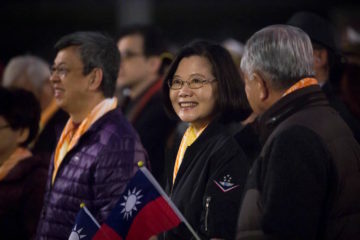 As such, it is also observable that the KMT has the tendency to allege that victories by any political opponents, including Ko, are the result of foul play. 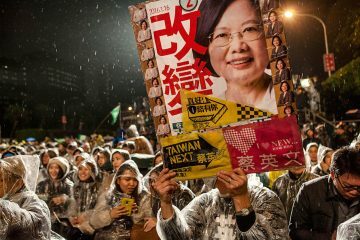 Political divisions in Taiwan will no doubt grow sharper going forward. That the race was so heated between Ting and Ko was only the result of Pasuya Yao dividing the vote. Yao proved a highly inept candidate, banking only on the fact that he had the DPP nomination, otherwise doing little to win over voters, and in that way angering the public with his complacency. On the other hand, Yao still was able to pull in 244,641 votes because the pan-Green camp has become increasingly distasteful of Ko because of his perceived drift towards China and the pan-Green camp and so still preferred Yao. 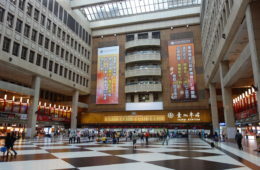 Ko was originally perceived as more leaning towards independence and he was elected in as a political independent with the DPP nomination in 2014, with the DPP throwing its support behind Ko and declining to run a candidate of its own for Taipei. 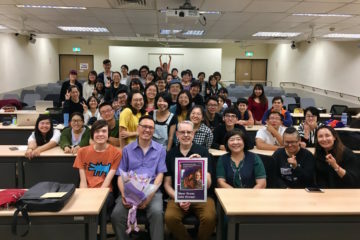 Ko had the support of young people after the Sunflower Movement, with the view that he was a politician who radically broke from the establishment politics of both the DPP and KMT, yet was stridently pro-Taiwan. Hence why the DPP supported, as part of efforts to try and get such young people to also support DPP. 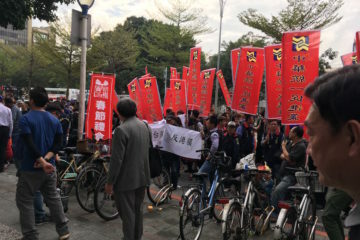 However, as the composition of Yao and Ko rallies in past days show, with Yao rallies consisting of mostly old people, and Ko rallies mostly of young people, this may have not succeeded. 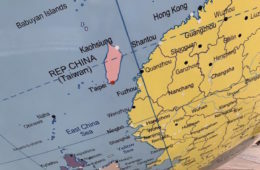 This evaluation of Ko as pro-Taiwan has changed in the past several years, however, with Ko conducting controversial cross-strait exchanges with China, as part of which he made statements referring to “both sides of the Taiwan Straits as one family” and “sharing a common destiny”. Ko has also made public appearances with deep Blue figures such as James Soong of the People First Party (PFP), and “White Wolf” Chang An-lo, both of which were implicated in the political repression or, in the case of Chang, even murder of political dissidents during the authoritarian period. In the years since 2014, it has always been a question as to whether Ko could have succeeded in his run without the DPP’s nomination. Perhaps not in 2014, but he has clearly proven himself able to overcome both the DPP and KMT in the current set of elections. Even if a recount leads to a Ting victory, Ko has proven himself able to contend with both the KMT and DPP on an equal ground. It is clear that without Yao’s presence in the race, Ko would have won in a landslide. The DPP may be blamed by voters for nearly allowing Ting to win by fielding its own candidate. This will certainly happen if we unexpectedly see a Ting victory through a recount. 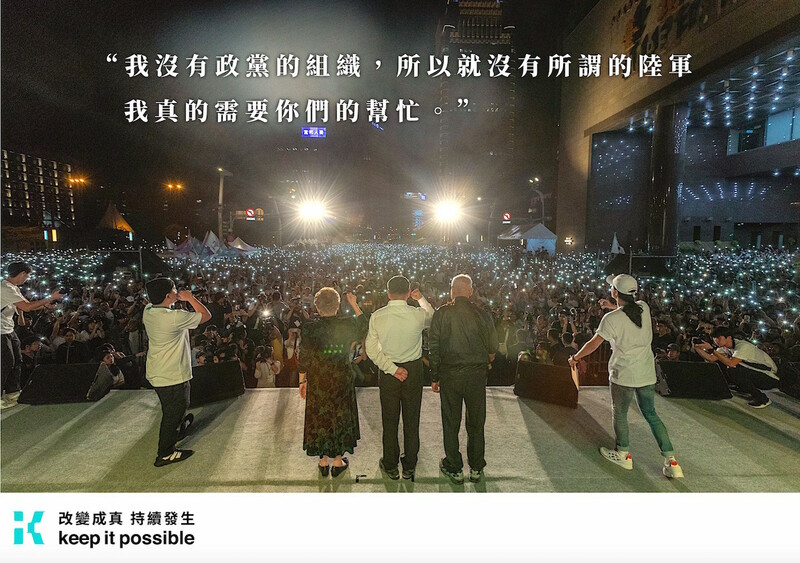 Funnily enough, the vote count was so close that Ko could have actually also been finished if, say, fringe candidates such as virally famous Wu E-Yang, who pulled in 5,617 votes, had gotten some more throwaway votes from Taipei voters. 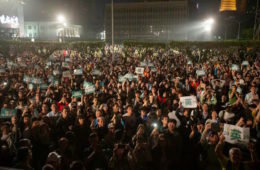 Yet though Ko’s victory was dampened by Yao, it will be seen as further emphasizing that it is now possible for independents to potentially take on both the DPP and KMT at once in Taiwanese politics. 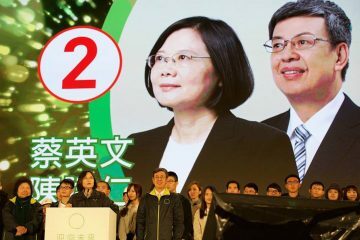 This will further encourage the proliferation of independents and third parties, with the view that a Ko victory represents that Taiwanese voters are increasingly independent swing voters not bound to any specific party. In truth, the power of the two-party establishment is still very alive, as seen in that Ting nearly won despite his generally lackluster performance as a candidate—all the more so in the case of Yao, who pulled in 244,641 votes despite his striking incompetence. So reality is somewhere between the view that Taiwanese voters now vote independent of party affiliation and the view that they are still wholly bound to two parties, but this does represent a weakening of traditional party ties. It is a question as to Ko’s future political orientation as the victor. 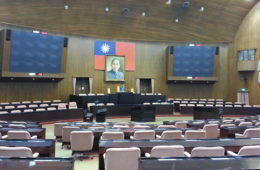 KMT victories have left the KMT in control of three out of Taiwan’s six special municipalities, the DPP in control of two out of the six, and Ko as the independent mayor of the remaining special municipality—and one which is also Taiwan’s most politically important special municipality, as the political and economic capital of the nation. As a figure somewhere in between the pan-Blue and pan-Green camps with rather flexible political views, Ko could be expected to perhaps drift slightly more towards the KMT now that it appears to have regained some measure of political power, while still balancing between both camps. 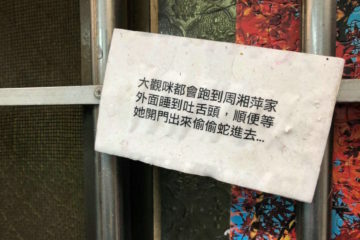 However, Ting strongly contesting Ko’s reelection victory could also deepen antagonisms between Ko and the KMT, something that would represent the failure of the KMT to try and co-opt Ko when a resurgent KMT could actually make such an effort possibly succeed. On the other hand, as Ko did not win by a landslide, it is to be seen whether the longstanding rumors that Ko intends to pursue a presidential run are correct. 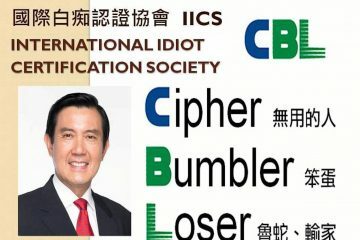 Ko is very clearly building a political force around himself, mostly consisting of jaded KMT and DPP Taipei city councilors, as well as fellow independents. 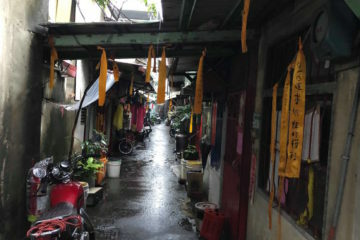 However, this force has a distinctly higher number of former KMT city councilors. This force is referred to as the “White Force” (白色力量) a label from the media that Ko is now embracing openly at campaign rallies. 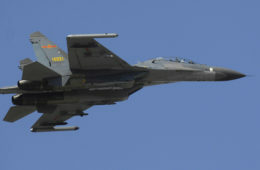 The 白色力量 is sometimes also translated as “Colorless Force,” since the idea is that this force is “beyond Blue and Green” political distinctions. 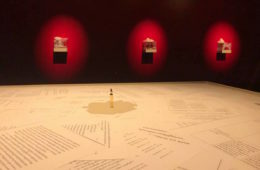 However, the use of the color “White” also suggests a sense of kinship to the KMT because white is also one of the KMT’s traditional colors, And the use of 力量, which could also be translated as “Power” except for making an unfortunate translation in English when put next to the word “White”, is suggestive of the largest post-Sunflower Movement third party, the New Power Party (時代力量), or the Third Force (第三勢力) more broadly. 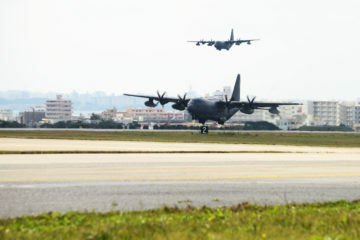 It remains to be seen as to whether Ko built this force only to be able to have more say over Taipei city politics going forward or if this is in preparation for a future presidential run, seeing as what Ko lacks for such a run is a political apparatus to back him. 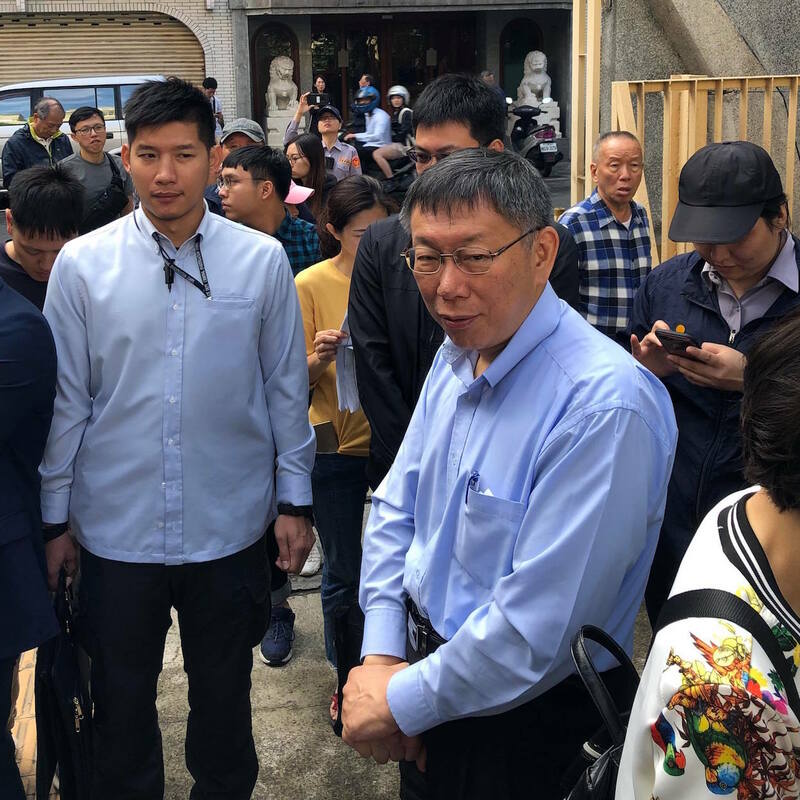 The litmus test for this will be whether Ko endorses non-Taipei political candidates going forward, much as the KMT’s Han Kuo-yu has taken to endorsing KMT candidates far from Kaohsiung, a rare phenomenon for a local politician. Likewise, there is the question of what political forces that Ko would cooperate with in a possible presidential run. James Soong has been floated as a potential vice president for Ko, seeing as Ko already has strong relations with him, and Soong has the backing of the PFP to provide institutional backing for Ko. 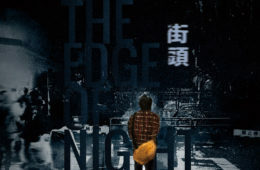 Han Kuo-yu of the KMT has also been floated, given that the much-discussed “Han phenomenon” of 2018 is very distinctly patterned after the “Ko model” of 2014, but Han may have to break from the KMT party establishment to do so, something made difficult by the vehemence with which Ting is contesting Ko’s victory. Ko and the extent of his political ambitions remain as opaque as ever then. As his election rally showed yesterday night, his supporters are primarily young people. 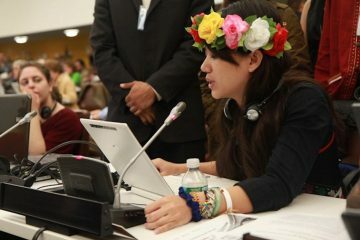 While young people are only one constituent of society, any political party which wishes to have a future beyond its generational cohort needs to have young people as part of it—and this makes Ko powerful in both political camps in Taiwan. As such, Ko has much room to maneuver vis-a-vis the two political camps, and this makes him very powerful.